OOTD: "And may the odds be ever in your favor"
It was sad, romantic, thrill. to be less 'shakey' camera work. I love that dress and the polka dot cardigan!! OMG love the polka dot cardie a lottt~ It's lovely! I adore the plait detail~!! Oh, I loved the Hunger Games! 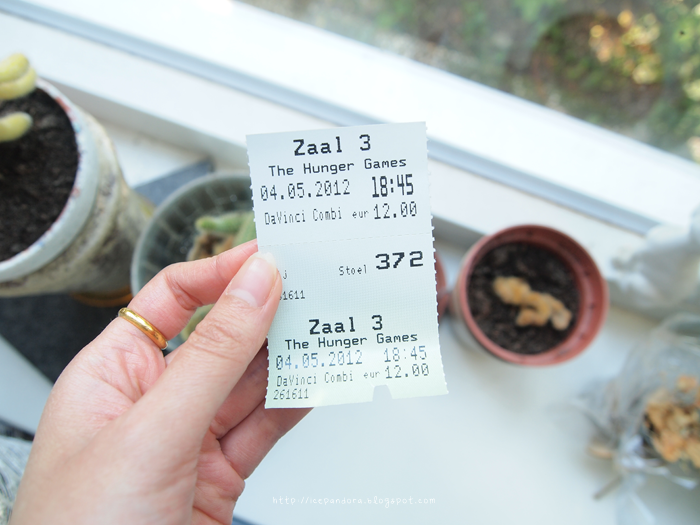 I went to see the movie twice and I just finished the book today! and the shoes' color is absolute love. Love the color of that dress and how your shoes match it perfectly :) your jewelry is super cool too! In the 4th photo, I love your earring? Or is it a hair clip? Either way, it looks super cool! i really like your bag! and the earrings!! Thank u for your comment on my blog!! Let's follow each other? Leuke outfit, dat jurkje is echt heel leuk!! I really like the colour of the dress and the shoes. You look amazing! Mooie jurk heb je aan, die kleur staat je goed! Cute outfit! Love your earrings. I recently bought something similar, but may give it away as I'm not sure when I'll get the chance to wear it since I wear office wear most of the time now. Such an impulse buy. Hunger Games the movie is much better than the books. I liked the concept (though it's been done before in Battle Royale) and the idea, but the author has very poor writing skills which ruined the experience. The movie was pretty cool, though! oee, leuke outfit! 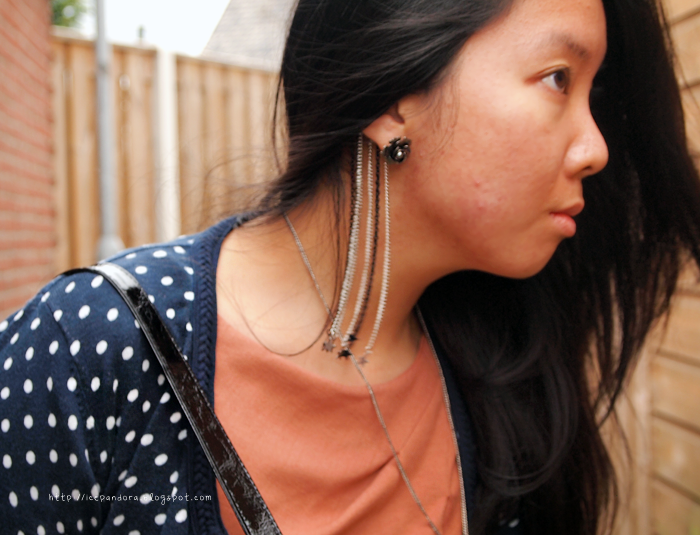 :D is dat een earcuff die je in hebt :o? Este blog esta lleno de detalles de buen gusto! what a lovely dress and it goes perfectly with that polka dot cardigan! Your dress is suuuper cool :D lovely outfit honey! So what is Miss Etam and where can I get that cardi? It is freaking adorable.